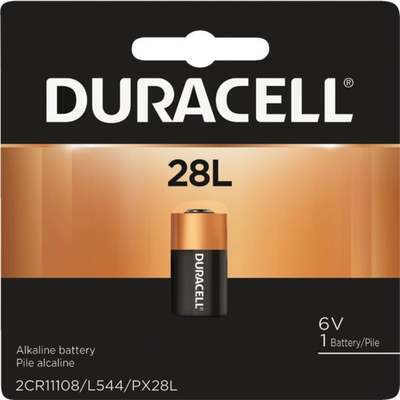 28L alkaline battery has Duralock Power Preserve Technology to guarantee 10 years storage. Best used in video and photo cameras, electronics, and more. Equivalent to: 6V 2CR11108, L544, 2CR1/3N, and PX28L. 160mAh. 6V.